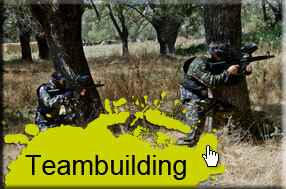 In Great Paintball Madrid we know how important teamwork is for a department to optimize its resources. The creators of this company Multiaventura in Madrid have worked for many years in offices developing technical work, and are clear about the importance for a working group to improve behavior patterns, strengthen leadership, and increase group cohesion. 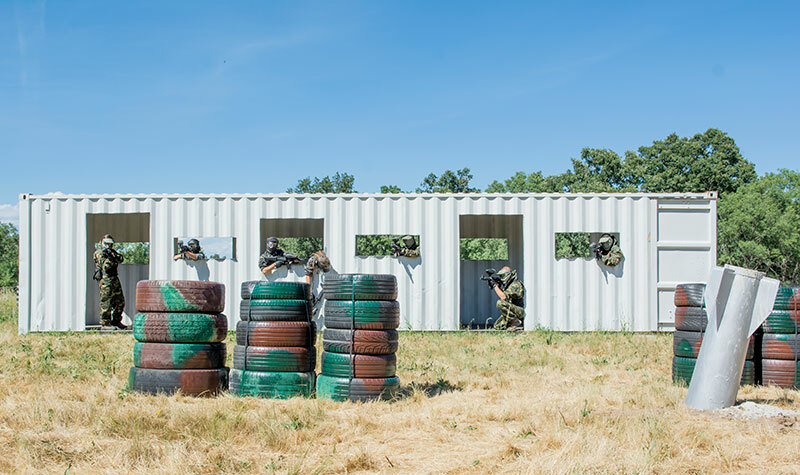 For all these reasons, we have developed games specifically designed to encourage teamwork, design tactics and strategies, and enhance results orientation in our Paintball fields in Madrid. Paintball is the ideal sport to improve the work climate and reduce stress, practicing a sport with a high adrenaline load in a completely natural environment. Being located in a land especially protected by its high landscape and ecological value, workers will enjoy a day outside the office that will unite the team more than any other activity: sports in the middle of nature, and in a completely rural environment, are ideal to improve interpersonal relationships between employees. It is proven that practicing this type of sport, in addition to releasing tensions, improves the work climate and companionship by sharing experiences with a high adrenaline load. Come to practice Paintball in Madrid and promote communication among employees, resource management, and teamwork. Check our offers for companies, our packs with barbecue, and complement your day with the different activities we offer such as archery, yincanas, olympics, etc. And, of course, you can also organize events or product launches in our facilities. They are the ideal place due to the spectacular environment in which they are located!